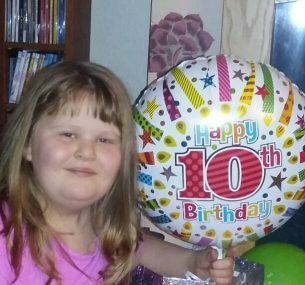 Jess was a bubbly, energetic little five year old who enjoyed dancing, swimming, gymnastics and cheerleading. When I began to notice that she was breathless, tired and low on energy, I took her to the doctor who told us she had asthma. At school she sat on the floor of the playground not wanting to play and her teachers noticed that something wasn’t right with her. After a week of more wheezing, coughing and not acting her usual self, we took Jess back to the doctors again and she was given antibiotics for a chest infection. When we took Jess to the doctor for the third time, we were told there was nothing wrong with her, but I insisted that we take her to the hospital for extra checks and we got an appointment two days later. I’ll never forget the day we took her to that hospital appointment. We arrived at the hospital at 3pm and Jess was taken for an X-ray. The doctor told us that her lung had collapsed and was full of fluid. Two hours later we were blue lighted to the hospital in Nottingham where she ended up on oxygen. The next morning she had a drain put in her chest which drained three litres of fluid. She had very little normal lung to use and she was extremely poorly. 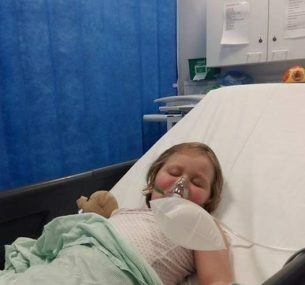 They initially thought it was a chest infection that hadn’t been treated correctly but once the fluid was removed, they found a mass in her chest. 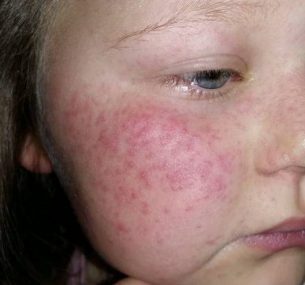 Within two weeks, she had started chemotherapy. We were in hospital for three weeks at the beginning. Her treatment at first was bags of chemo and one chemo injection to which she had a very bad reaction, causing a bleed on her brain and many fits. We never told Jess that she had cancer as she wouldn’t have understood what that meant. All she knew was that she was very ill and needed lots of medicine. She was quite good at taking all her medication until the steroids kicked in and she became very grumpy. We were able to go home after three weeks but had to return to hospital every day for chemotherapy and blood tests. This carried on for a year until treatment got a little easier as it was changed to tablet form. 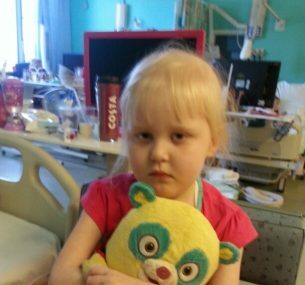 We endured one more three week stay in hospital during Jess’ treatment when Jess began to fit quite badly and eventually left the hospital unable to walk. We also had lots of two or three day stays with temperatures and illness. Jess had shingles twice during this time and also developed a limp. Jess’ cancer turned all our lives upside down. Our usual family routines were completely disrupted. We couldn’t make plans as Jess’ temperature could change within minutes and she’d sometimes end up having to stay in hospital. Her brother didn’t know where he would be sleeping some nights as he would have to stay with his grandma when Jess was rushed to hospital. During this time I felt like I had swapped places with someone else. Everything was mixed up and muddled – it was like a nightmare we couldn’t get out of. 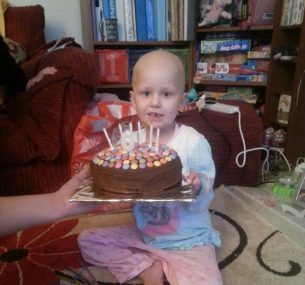 In total, Jess’ treatment lasted for two and a half years which seemed like a lifetime. It was a very bumpy road, but we got there eventually. 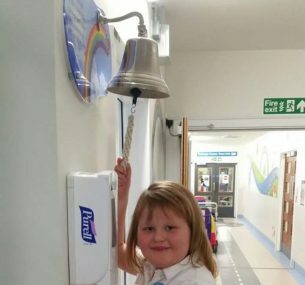 She rang the End of Treatment Bells in September 2016. It was such a special moment and a lovely nurse made her a cake to celebrate. To celebrate her end of treatment, we booked our once in a lifetime holiday to Mexico with money raised by our supportive family and friends. It was superb and such a relief to be together, both medication and cancer free! Today Jess is quite fit and healthy but she’s having to watch her weight as nearly three years of steroids have increased her appetite and she now puts on weight very easily. She has returned to swimming but can no longer go to dance classes and gym as it hurts her legs. Instead she’s taken up golf and is really enjoying it. She attends check-ups every four months and has regular chest X-rays. She’s in Year 5 at school now, but had to miss a whole year between reception and Year 1 and in Year 2, her attendance was quite poor. No matter what though, Jess has always kept smiling and got on with things. To us, she’s an inspiration! Jess’ cousin Lee Roberts will be running the 2019 Virgin Money London Marathon to raise funds for Children with Cancer UK so that more children like Jess can ring the end of treatment bell.